Finding a bad credit mortgage broker isn’t an easy task. Even experienced brokers who aren’t used to dealing with adverse credit may misinform you. 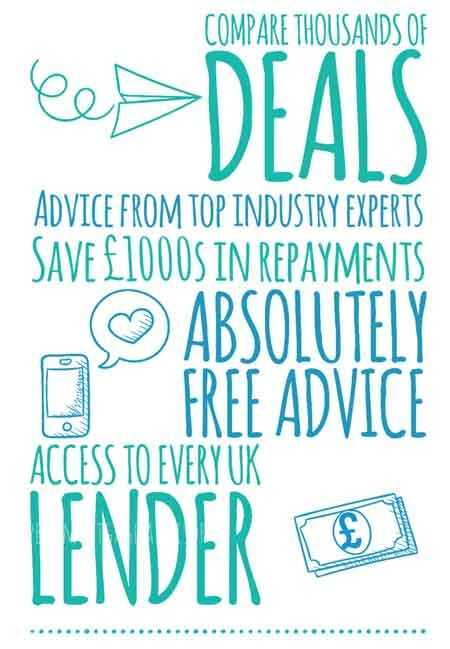 We’re constantly bombarded with enquiries from people who have been declined by brokers and high street lenders, only for one of our advisors to secure them a great mortgage shortly after. What is a bad credit mortgage broker? Bad credit varies from person to person. You may have one bad credit issue or multiple with many other variables thrown in such as how recent issues were and their severity. Only once a bad credit mortgage broker has spoken to you, can they begin to really help you. If you’ve been declined previously, don’t let that put you off, there’s no harm in speaking to an advisor and making an enquiry. Not only have our specialists dealt with clients who have previously been declined, but found them great mortgages in the process. A great broker never applies for the first deal they can get, which is what a lot of industry brokers do, due to their time constraints and special deals with lenders. A great adverse broker should not only move mountains to secure you a mortgage, but should also try and find you the best possible product as well. Once our advisors have spoken to you, they can start communicating with various lenders depending on your situation. They have a very tactful approach and our success rate is extremely high as they place your application to the right lender in the first instance, saving time, money and frustration! My credit is really bad, can I still get a mortgage? We never give false promises, however what we will say is that we’ve helped many borrowers with bad credit to secure a mortgage. Every situation is unique and we would really need to speak to you in order to answer that question. We are specialists in this field so no matter what situation you find yourself in, we’ll always offer you informative advice. A lot of the time we can secure a mortgage straight away with the specialist adverse credit lenders we work with. Sometimes credit issues may be too severe, to the point where we will be honest and tell you that it won’t be possible. However, we can still help you by informing you on how to repair your credit score. Once your credit score has increased, we can then look at applying for a mortgage. This process usually doesn’t take as long as most people think! So all in all, we can help and we’d love to hear from you. Some adverse credit specialists charge hefty fees for a mortgage as they often require a lot more work as opposed to clean credit mortgages. Options for bad credit mortgages in the UK are also limited. Our fees are very competitive when compared across the UK industry board and usually around £499, sometimes slightly more on really complex cases. Most fee structures do vary as all cases are different and require varying amounts of time. Across the industry board, the maximum brokers may charge is around 3% of the mortgage amount (£6k on a £200k mortgage). The lowest fees are usually around 1% of the mortgage amount and if you do find yourself paying 3% then you’d be paying over the odds. There’s a lot of brokers in the UK that will charge a lot less such as 1% and below, such as our expert mortgage advisors, so it’s worth your time shopping around. Some brokers can immediately dismiss applicants as soon as they hear the mention of bad credit. A lot of brokers are misinformed and believe that bad credit cases will be a waste of time and difficult to get approved. We’ve spoken to so many people who have had this experience, only to be approved a mortgage a short while after making an enquiry with us. Brokers in the UK are in fact turning away valid customers simply because the brokers themselves either don’t have the time or expertise to deal with bad credit mortgages. 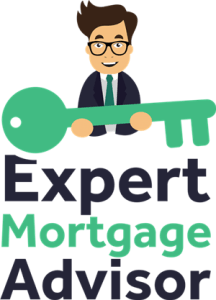 At expert mortgage advisor, our brokers are all specialists in the UK bad credit mortgage field. Working closely with specialist lenders we’re able to place applications where we’re almost certain they’ll be accepted. If a situation arises during an enquiry where one of our advisors is quite certain that even specialist lenders won’t accept your application, then they’ll advise you on what to do next, in preparation before applying. There’s recently been an influx of bad credit mortgage approvals and the market only seems to be expanding. You can make an enquiry with a mortgage advisor or simply ask a question to start. Further reading: How to get a mortgage with bad credit.